Starting in 2018, all new taxis in London will need to be capable of running as zero-emission vehicles–a policy recently announced by Mayor Boris Johnson. That’s quite a promise, and a significant engineering push will be needed to make it happen. But already, several manufacturers are working on taxis to help make the British capital a cleaner place. We mentioned the Nissan NV200 taxi in a recent post. Currently, London’s streets are among the most polluted in Europe. The evidence of the decades of soot thrown out from diesel taxis and buses can be seen on curbs and building facades around the city, but it’s the effect on residents that’s the bigger concern for most. Diesel has been rightly chosen for its economy and durability in the past, but several factors are now arising to reduce its appeal. To control emissions, diesel engines must now be fitted with particle eating technology that pushes up the purchase cost and in some cases, reduces the famed reliability–particulate filters, for example, can clog up and be rendered inoperable in typical low-speed city driving. The cost of diesel fuel has risen too, largely thanks to excessive UK government taxation, cutting its cost benefit over petrol–and efficient petrol vehicles are also catching up. Nissan’s new NV200 London taxi, for example, is said to be 50 percent more fuel-efficient than today’s diesel taxis, with its 1.6-liter petrol engine and continuously-variable transmission. But even this won’t be enough to meet for the 2018 targets. Nissan itself has already shown off the e-NV200 taxi. It may carry the same awkward nose job as its gasoline counterpart–designed to evoke traditional London black cabs–but its battery electric drivetrain cuts emissions down to zero. 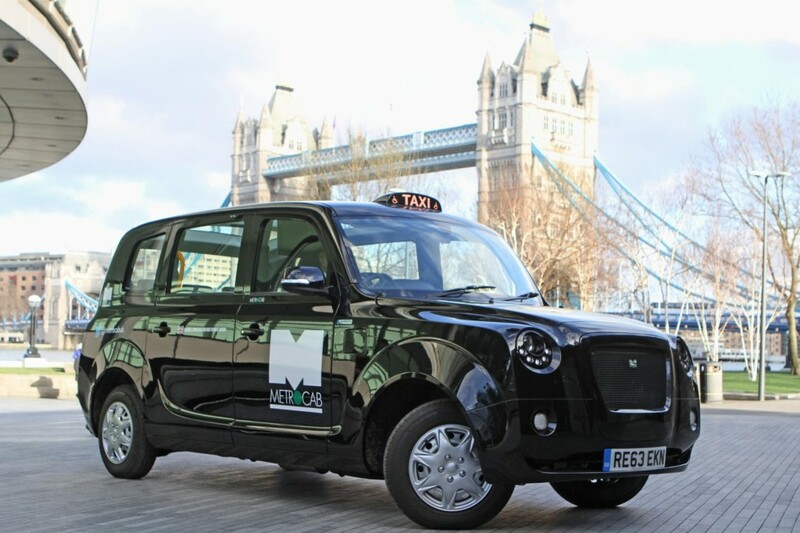 A second entrant into the market is Ecotive Limited, working to produce Frazer-Nash’s Metrocab. Here, a range-extended electric drivetrain has been chosen. The idea behind the setup is to ensure that cab drivers–many of whom live on the city’s outskirts, or even further afield–can drive into the city as normal, before switching to electric mode for the day’s work. Under the hood is a tiny one-liter gasoline engine. There’s also a 12.2 kWh lithium-ion battery pack and a 3 kW on-board charger. Between electric power and the gasoline engine, claimed range is 350 miles. Frazer-Nash reports blended fuel economy of 62 mpg, around three times that of the equivalent diesel cab, and 75 percent less CO2–less than 50 grams per kilometer, overall. The benefit to London residents is clear, but the benefit to drivers is reduced running costs: around £50. Like the Nissan, it’s not pretty. But it does cover all the bases required for a London cab–including the famed turning circle, which must be 25 feet or less–and meets the Mayor’s zero-emissions requirements for 2018. The Frazer-Nash taxis are already beginning trials in the city. To ensure electric cabs have a place in London, there are already plans in place to erect more charging stations around the city, allowing cabbies to juice up as and when they need to. Several other automakers, including Volkswagen, BYD and Mercedes-Benz, have hinted at offering plug-in London taxis over the past few years. It’s a concept that makes a lot of sense. Electric taxis clean up some of the most frequently-used cars on the road–and reduce ownership costs for those who run them day-in, day-out. Other cities, including New York, have had similar ideas. Will the electric-taxi revolution be as important as the electric-car revolution? You might be unfamiliar with the name LTI TXII, but if you’ve ever visited London you’ve probably traveled in one at some point. It’s best known as London’s black cab or ‘Hackney Carriage’, and it’s known the world over for its iconic shape. Nissan has incorporated the black cab’s famous face onto its new London taxi–with limited success. But the real story is the electric version, which makes its debut in 2015. Current London cabs already have a strong connection to Nissan. Towards the end of its life, the old Austin FX4 cabs used 2.7-liter Nissan diesel engines to power them around the city, and until recently a Nissan unit also powered the existing TXII. But all have been diesel, and in its crackdown against inner-city emissions–London is one of the most polluted in Europe–diesel taxis are falling out of favor. The NV200 van, also used in New York as the ‘Taxi of Tomorrow’, will debut in London with a 1.6-liter gasoline engine and automatic gearbox to reduce oxides of nitrogen and particulates. The cab also includes some of the features found in the New York version, such as a panoramic glass roof to let punters admire the scenery. It should be more pleasant to drive, too–current London cabs aren’t designed for a comfortable driving environment. London versions are unique among NV200s, getting an extra-tight 25-foot turning circle. This is required for all Hackney Carriages and is based off the tight entrance roundabout at the Savoy Hotel. 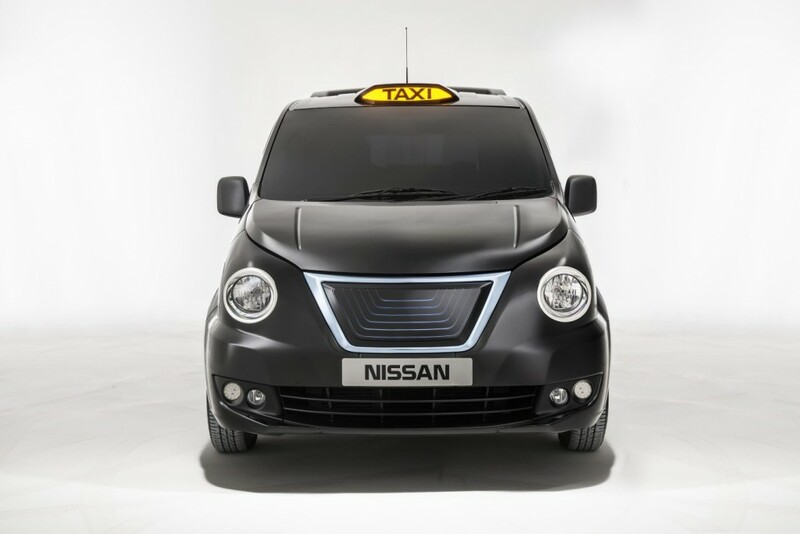 In 2015, an electric version of the cab will appear, based on the e-NV200 Nissan has showcased over recent years. Using a Leaf-derived drivetrain, it’ll cut those local emissions down to zero, and reduce running costs. The electric taxi will hit the streets five years before the London Mayor’s target of 2020. Whether residents will get used to the new taxi’s face though is another matter.